You are right. I had this doubt and was going over and over more than once. It is a typo. You never mention how to actually set the default up. Opps. Post has been updated. Thanks for heads up! Its an excellent site for newbie. I think its help all Linuxx user. I’ve tried changing umask on my GNU/Linux box (Gentoo). Is’s look like 0000 and 0111 is the same mask. What’s going on? Default (initial) Run level for root? I have done this thing 3 times….but not any affect on umask default permissions. # umask 0077 command for temporarily umask…. You say: For directories, the base permissions are (rwxrwxrwx) 0777 …. According to the DebianDesktopHowTo the value for UMASK has to be changed in both /etc/profile and /etc/lgin.defs. This howto has a specific section about permissions in a shared computer. Hello guys, thanx for your valuable input however i need to make the php files created by my app rwxrwxr– by default. How can I get to do that? Steven: Umask cannot typically be used to default new files to executable. You need to use chmod instead. I am using fedora9 and having trouble with system. when I create a file as root then the file have permission rw-rw—- I have to change permission each time…. I want to change umask but when I tried it with umask 000 then the default permission are rw-rw-rw- not rwxrwxrwx. I want the permission rwxrwxrwx how to set it as default? execute permission is never defaulted on a file (hence 666 base) … it is defaulted for a directory (hence 777 base) so access to the directory is there. so 027 does result in all r/w none for a file but all r/w/x none for a diretory. for a file 000 and 111 are the same as 111 masks off execute permission and the base permission is 666 – 000 === 666 – 111. Now, let us see how the file permission settings are calculated using boolean expressions after we have issued a umask with 027. For the directories, you need to take the 1â€™s complement of the umask value and perform a logical AND operation with 0777. Try different combinations on files, directories to get a clear picture on how umask is applied on files. Thanks Vivek, for inaugurating the topic. And thanks kurinchi blogger for explaining it fully. I was getting hung up on Vivek’s post where he says – to calculate file permissions, subtract umask from 666 – the default permission for file. Except that sometimes umasks can be like 027, in which case you get a -ve number in the last octal? ther is a string umask 002 and umask 022 we have to cahnge that. Can we set umask values to 008 , if not why ? Could you please answer this question . umask values are in octal. 8 no. doesnt inlude in octal. Subtract 8 from 7, what do you have? -1. That’s not valid. How can we convert .txt file into .sh file in unix , please answer. How can I set the default umask for users that are authenticated via Winbind connection? Hello, i’m a computer science student. I needed a C language program for unmasking file permission. How to setup umask for users that can’t login (/sbin/nologin) like the “apache” user? these are octal digits, you can not have a legitimate digit with value 8, only 0-7.
the default permission for file is 666??? For file, if we do umask 077 or umask 066, we will get the same result??? Isn’t that we can never create a file with “x” permission pre-set? I really want to ask. Hi kurinchi blogger i didn’t get that compliment method can u just help me on that …………. apply umask 033 to default file permissions. this is to show that the operation is not using octal, it is using binary instead. in this all stuff, operations are done using AND logic. logical operations are always done using binary value. octal is for our easiness calculation. but in kernel all octal value first convert in binary then logical AND operation perform. In your last example, if umask value is 077 and default permission is 777 then the newly created value should have permission 700, that is the the file should be rwx by the owner, but in your case the permission bits 600. IN the table, the last entry if umask value is 0027 and default value is 777, then the file should have permission 750 i.e. group should have read and execute permission ,but you wrote r/w permission. Thank you for such a short and to the point write up. This helped a lot. How to implement a umask when using a program in a batch mode, when .profile or .bashrc is not loaded ? I love this post keep it up please i need more tutorials about this cause i jst learnt it thanks! So any umask setting is there just subtract it from the above mentioned values. Say the umask is 027. How would you apply that to determine file permissions? I guess you have asked the same question, above in the same article…still you are not satisfied let me know about it…I will help you out..
U r bit of right but this trick not work in all value, b’coz its partion right. b’coz kernel doing AND opeation betweed file/directory default value and 1’ns complement of umask value. this is general way to find file permission. u may run it practically..
how can i set permission for folder which mount to drive to each user can not delete or modify other’s file and folder? So where and what i have to add parameter? Hey, can You please tell me how do I set umask for a certain user under Ubuntu? I do not want to set a global umask. how can we change the Default value of Umask permanently????? 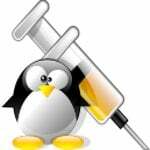 how to change umask value permanently in opensuse linux?????? The final table has three errors. The first three rows calculate “7 – 2 = 4” where they should calculate “7 – 2 = 5”. So the values in the final column should be 755, 751, 750, 700. Hi, is there anyway to check if umask is already applied on a directory without creating a file an check the permissions? I guess you can check in login.defs file what umask you have right now..
where can I find “login.defs” file? in which directory?? in local user i always see 0002 value, how can I change it permanently to 0044…??? Thanks a lot for giving such brief explanation with simple words. Good and to the point information about umask and file permissions. how about the 1st Field ? Its stands for special permission like SUID/GUID/ Sticky bit/ chattar etc,and represent that, the special permission remains intact and independent of umask set. Caring is sharing, inputs are welcome. actually i am a beginner in Linux and your post show me so informative info. with a great style thank you a lot. actually while reading the equation which make a relations between the base permission and the umask which give us the new file permission as it mentioned above in this example . so in my view its ANDING mschanism not a SUBSTRACT . thank u too much sir i am so happy to learn many information from your post. Probably the shortest, cleanest and easiest explanation of the umask concepts found on the Net. Thank you !!! how about subtracting 027 from 666 ? as u told that we need to subtract as though we were to subtract decimal numbers,then 666 – 027 will give you 639.and as a matter of fact we cant express number >8 in octal.help appreciated in advance. very good explanation thank you so much..
if i set the umask as 077 what will be the file permission? Actually the default permission value 666 is only for non-executable file (rw- rw- rw-). We cannot umask with 077 for that non executable file, only umask with 066 for 600 (rw- — —) file permission result . For executable file the default permission value is same with default directory permission: 777 (rwx rwx rwx). You can umask with 077 for that executable file and find result 700 file permission (rwx — —). Note that r = 4, w = 2, x = 1, – = 0, so rw- = 4+2+0 = 6. rwx = 4+2+1=7. May be I was wrong. I was confused by default non-executable permission value of 666. Umask mean create upper limit value that should not be exceeded for permission. So if you have file permission 666 (rw- rw- rw-) and need to limit the file to 600 (rw- — —), you should umask with 177 (777-177 = 600). Correct me for my false above. My conclusion, you may set umask 077 to your file permission, but it doesn’t limit to non-executable file because 777-077=700. 700 (rwx — —) is executable file for owner. If you want umask to non-executable file for owner you should umask 177 because 777-177=600 (rw- — —). Would like to add one tidbit here, in RHEL 5/6 the individual umask setting(s) would need to be applied in the file ~/.bash_profile. See below on my discovery. Very helpful article for newbie. Thanks for sharing. Does we require to set umask value both in profile and bashrc file ? If umask value is set 0(zero) then files are created with rw(for owner,group,others) permissions and directories are created with rwx(for owner,group,others). For files how this umask value is calculated in the case of umask value is set to zero ? Can you please post a commands that are using letters? when umask is – 333 , 666-333=333 but as i know umask doesnt allow execute permission for files so it can’t be 333 at least. but then why its creating as 444 and why not 222. how’s its calculating to create it as 444 ? another example is when umask is – 111, 666-111=555 but as said it can’t be 555 and file is getting created as 666. how come and why not 444. how it is calculating this ? Can somebody explain me this in simple language. hi why i am not able to set umask for setuid or setgid or sticky bit ? for e.g when running umask 2002 i am getting error as `umask 2002 octal number out of range`. Any directory/file created by srv-test user would have a umask of 002 results if dir/file permissions of rwxrwxr-x. system wide setting remain same i.e 022. What if I want to set up file permissions to be equal to r–,r–,r– (444) and directory permissions to be rw-,r–,r– (644) ? What would be the umask value setting? I’ve tried umask 222 which came out good for files but for directories it equals 555. Alternately, I’ve tried umask 133 which gives me 644 for files which is not what I want but it gives me 644 for directories which is good. If anyone can figure out what the umask value should be to equal 444 for files and 644 for directories, Please let me know. By default, umask = 000, and this sets permissions to 777 for directories and 666 for files. Meaning that umask = 111, sets 666 for directories and 555 for files. You can’t set 644/444 using umask. Its either 644 / 533 (133) or 555 / 444 (222) – both of which make no sense. There are only handful umasks that make sense. Those have values of 0, 2 or 7. ALL other values produce anomalous effects. For example, “2/w” on files or directories (from umask 5 and 4) results in directories that are writeable, but not accessible (“1/x” bit); or files that are only writeable. Umask of 6 produce “1/x” value on directories, which means – execute rights of contained objects – yet reading or writing in same directory not possible. On files it will produce 0 (no rights). A 111 on dirs/000 on files can make sense – for making secretly accessed directories (which still can be bruteforced). Example – below. But there is no sense to create this as uname. Such directories are created manually as needed. autocompletion: ls /somedir/somesecretdir/ will not work. listing: ls -alh /somedir/somesecretdir/ will not work. will work, because we supply fully correct name “supersecretlongname123”. Finally, umask of 3 will produce very strange results – directories with “4/r”, means their contents still can’t be accessed – just filenames listed; and “2+1/-wx” on files, – files which can be written to(and copied around) and accessed, but not displayed. So stick to umask values of 0,2,7: 000, 002, 022, 027, 007, 077. Everything outside makes zero sense. Correction: “But there is no sense to create this as uname.” above should mean “But there is no sense to create this as umask.” of course. Thanks.it’s really useful for me. Thank you very much owner for the Info. Also thanks for all the comments, which also helped. o22 or 027. Set the second for home dir content and nobody except user from your primary group can’t enter in your home dir. Set 077 to forbid all but you and root of course enter… There are 4 number is first digits. Some OS-s have base mod not 0666 & 0777 but 06666 & 07777. You may reset also sgid and suid. So you must set fourth number too. I have a question related to default permissions for a different type of files and directories. We say that For directories, the base permissions are (rwxrwxrwx) 0777 …. and similarly For test files,the base permissions are 666 and for executable files are 777 and then you calculate. From Where a process which is creating the files or directories is taking these base permissions and then applying umask.